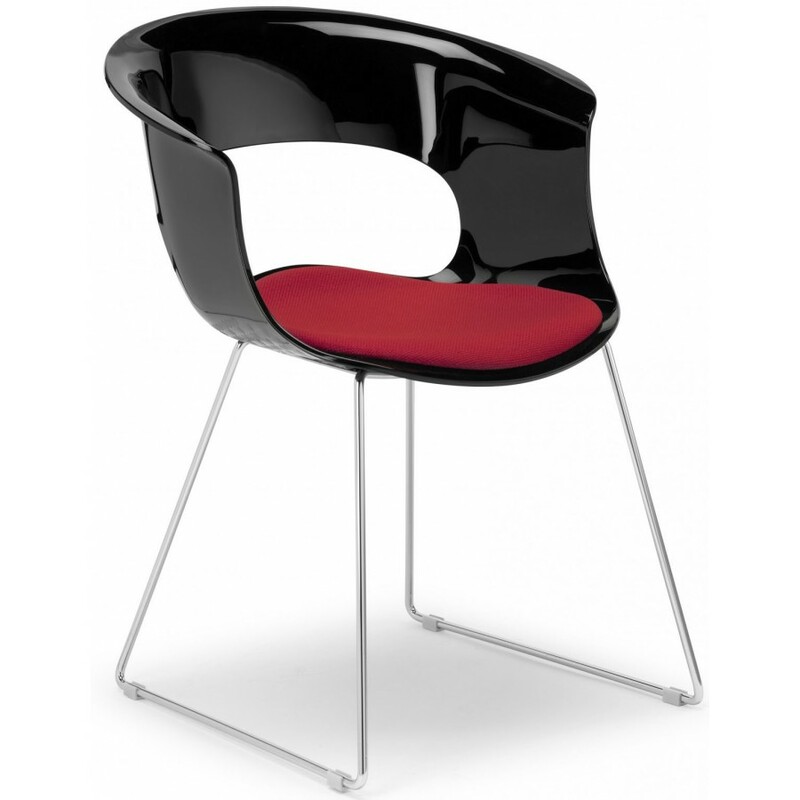 Chair with sled structure in chromed reinforcing steel and polycarbonate shell for indoor use. The chair Miss B shock has a slide structure in steel reinforcing. The shell is made of polycarbonate, and you can have it in many colors, both transparent and glossy color. Beautiful chair and modern design but at the same time sweet and romantic, like an armchair. For internal use only. Excellent for public environments, but also suitable for home use. This chair can be customized and made even more comfortable, adding a fixed pillow in fabric produced in different colors with extra charge. The pillow is available only for the version with shell in transaprent, glossy white and glossy black polycarbonate.